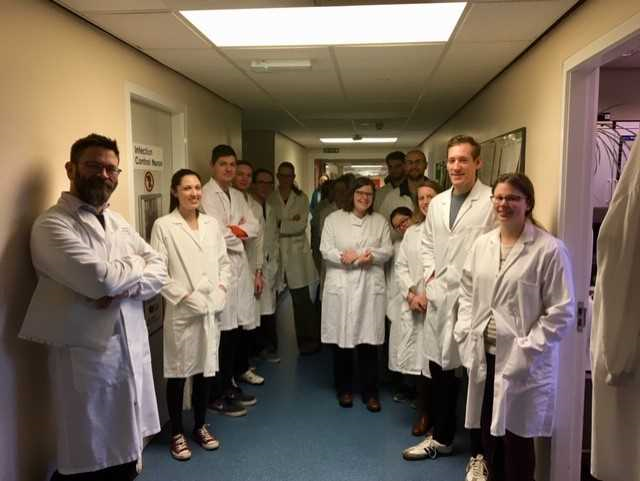 Day two followed the CSA theme with a morning of ‘Results not to lose sleep over’ the material for which was delivered by the laboratories and lead by Adam Brown, Consultant Microbiologist. A great opportunity to ask the questions we need to ask and hear the reassurance regarding those results which always ‘appear’ at 5pm on a Friday afternoon! As pictured here the morning began with a tour of the labs and for many the first time back in a lab coat since dissection at university! Our follow-on afternoon was an entertaining and lively affair with ‘Genetics and Ethics’ delivered by GP and Genetics Consultant Dr Helen Gregory, a great foundation for those CSA genetics questions that pop up with frustrating regularity. …but can you solve it (for fun!)? Dr Mark Taylor ES & GP Associate Advisor, NES, Inverness Office.